In her October 29th LJ entry, my dearest Cheryl wrote on her thoughts about FRIENDSHIP. We call each other "cosmic sisters"as most of the time we understand each others thoughts and feelings without ever needing to explain or defend (defend? Bakit may kaso?) ourselves There would be times when we just think/do/say the exact same thing at the exact same time. We're a couple of freaks. it's easy to get lost in a maze of 10 million different people you come across with, especially as you get more mature, as you move around, but as long as you know what's real and what's true, there's no way you can hide that. even when you've decided to shut yourself out of people, afraid of getting hurt or disappointed, you'll be surprised at how friendships grow. people reveal themselves at the most unexpected situations. for example, i admire those who prove their integrity and sincerity even when everything else around them is just wrong. isn't that what integrity is all about? doing what's right EVEN when (especially WHEN) no one's watching. or for instance those who share their time, what they know, or themselves in the midst of a demanding work environment. I have met most of my very good friends through unexpected and most surprising ways. There was no need to exert any effort nor pretend to be someone better. The friendship simply grows. I especially am endeared to those take the time, out of their very busy schedule to be available for me, or just simply be thoughtful. thinking about the friendships i've made, i am totally pleased and content. there are more people i am only getting to know, and maybe it'll end there or maybe we'll grow to be better, closer friends. but what's important is that they are around me because they've seen through me at some point. and they liked what they see. no pretentions, no hidden agenda. that's how relationships transcend into friendships. perhaps this is one of the reasons why i'm not the friendliest person on earth...to me kasi i make a conscious effort to take care of the friendships i make. i give it my time, eh i have so little of it na nga! I have shared with my husband and with Cheryl how happy I am with the friends I have now that even if I don't find new friends in Cebu, I would be okay. I don't want to say I do not need new friends as that comes across as a very snotty remark. What I mean is I am contented with the friends I have now, that there's no reason for me to look for new ones. I laughed aloud when I read about making a conscious effort to keep a friendship. It should come out naturally. One's busy schedule should not be a hindrance to stop spending time together. One makes time for those they love, right? so think about it...are you too concerned about yourself, so focused on your own problems that everything is about you? how much of your time do you give to the people you'd wanna run to in times of need? get real, in that you cannot expect to receive from others what you cannot give of yourself. Her words are exactly what I want to say. See, she put my thoughts into words. A friendship is a two-way street. If only one person makes all the effort, it's not going to work nor will it last. Just recently, I feel sad about a colleague who died yesterday. We worked on several work events in the past. And I enjoy every minute working with him. 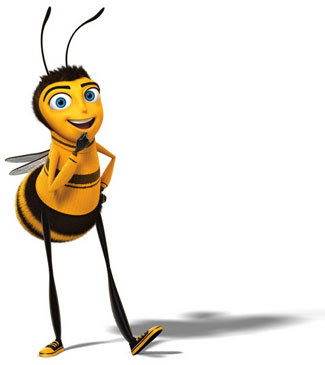 I grew very fond of him. He's someone I would run the extra mile for. Even if my stupid feet was killing me at the Food & Hotel show in Singapore, I walked over to the USDA hall when I learned he also flew for the event. I adjusted my schedule to visit him in the ICU, and found ways to get to his wake, to pay my last respect. Some people are just worth the extra mile. In last night's small group, our topic was Overcoming Offense. As I learned more about the cause and effect of offenses, I felt a sharp object pricked my heart. I realized how I get offended easily. And when the offense is caused by people I most care for, I sadly hold grudges. Worst case would be for me to think the person does not exist. My rationale is if we no longer have the same interests or share the same views then our friendship might as well fall apart. I hate when I need to explain myself a lot when I know I do not need to. Yes, I may not share your current views but I am allowed to have my own opinion and beliefs. Yes, I may have changed my perspective about life but it does not mean that we need to grow apart. That is when I realized that there are friendships worth keeping. I need to give myself time to heal a little and then I will do what I can to save the friendship. If that does not work, and my effort cannot enough to save the friendship then I am happy to have tried my best. So who and what irks me? Dishonest people: No explanation needed for this. Mess: I absolutely cannot stand a messy house. Junk: I do not keep anything I don’t intend to use. Crowded places: I hate packed malls. Mall wide sales never lure me. Except maybe when Zara goes on sale. People constantly borrowing money: If a person keeps on borrowing money then something is very wrong with how he manages his finances. It’s not how much one makes that matters, it’s how much a person saves. People who live beyond their means: They are very pretentious to me. There is nothing wrong with living simply. Chatty people: Please please please stop talking to me, especially in the morning. I love my peace and quiet. Dependent people: The world’s not going to end if you try to do something on your own. Inconsiderate people: Please respect other people's time, energy and money. People who demand and think highly of themselves: They are not God. To me, these people are insecure. Secure people are content and unassuming. And my list ends here. Last weekend was hectic but so much fun. Lots of good food and excellent company. It started with dinner with my family in Abe in Trinoma. Abe made it to my list of favorite restaurants. I looked forward to this evening all week, when I'd be sharing a sumptuous Filipino meal with my family. A hands-down favorite is the Crispy Pork Adobo. 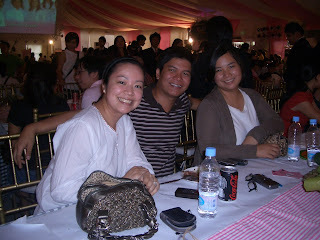 Saturday was the opening of Pink Kitchen at the Rockwell Tent. A lover of good food should not miss this event, organized and for the benefit of the I Can Serve Foundation. 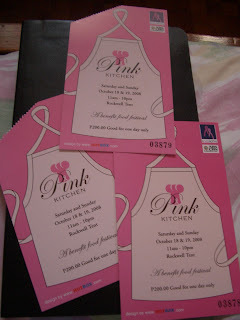 I gave my family no choice and they found themselves being stamped at the entrance of the Pink Kitchen. I feel very strongly about the cause as my own mother was struck with breast cancer twice. By God's grace and mercy, she is currently in remission. The venue was packed. Yes, we endured the crowd. The food stalls featuring the best dishes and desserts were worth the 200 pesos entrance. Now don't ask how much we spent on food. It's for a worthy cause, right? Everyone's full thus the smiles on our faces. 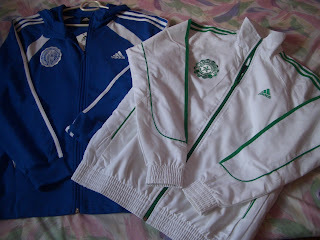 Before leaving the Powerplant Mall, my sister and I passed by Adidas, and we found the Ateneo and La Salle jackets. I just had to buy it for the two of us. It's my belated birthday and advanced Christmas gift for her, as the jacket is expensive. Blue goes to Via, and I take the green one. 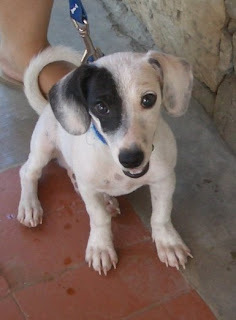 When I stay at my family's house in Bulacan, I get to see my sister's dog, Kenken. He's one-fourth dalmatian, and three-fourths beagle. But his dalmatian blood is more dominant thus the spots, etc. I am terrified of dogs, or any pet for that matter. However, this dog is very hard to resist. Especially when he looks at me with those puppy eyes.Well, I touch and look at him from a distance. I wish he'll remain this small. 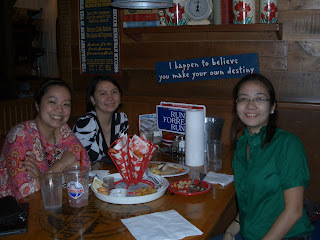 I headed back to Trinoma on Sunday evening to meet my two highschool friends for dinner. Aileen was my bestfriend in high school. We were roommates in college for a year, I think. Aileen's getting married on November 9. The dinner was supposed to be her shower but unfortunately people couldn't make it so we ended up with an intimate dinner with Cathy at Bubba Gump. And that ends my busy weekend. Next weekend will be as busy as I'm off to Cebu to spend quality time with my dearest husband. My sister e-mailed me a You Tube link of the video of her batch mate's proposal. The guy, Boyet, was their batch's valedictorian and student council president. I'm not surprised he came up with this type of proposal. My hats off to him for his creativity, organization, and LOTS of courage. While I found it a bit OA (but of course as Jed's proposal is the perfect one even if that was at my family's garage in Bulacan), I was so surprised to be shedding tears. I cannot believe I cried while watching the video. My assumption was I would have more free time now that Jed has moved to Cebu. Was I very very wrong with this assumption!! There's a saying in Filipino which goes, "Marami ang namamatay sa maling akala." The saying may sound morbid, but there's truth to it. I have never felt this busy after the wedding. There are too many tasks I need to do that my time management skill is failing me. When I hit the bed at midnight, I am always exhausted. It even dawned on me that I should have moved my resignation date earlier so I would have more for my personal affairs. I have not even started packing our things for shipping to Cebu. Eeeek! So what's keeping me busy? I go to work Mondays to Fridays. I come in to work early because it is easier to find vacant taxis before 7 o'clock. Plus I do not want the added stress of heavy traffic. But, I don't head to the office right away. I pass by Starbucks first and sit while I read a chapter or two of a book I'm currently reading. At 10 minutes before 8, I proceed to the office, and work as I am expected. When lunch break comes, I try to squeeze in working out at the gym. I go back to work after until I need to go home at 4:30. On days that I do not have dinners with friends or small group meetings, I go straight home to supposedly work on household chores. When I am not in the mood for house chores and I put it off for a later time (Very bad! ), I would easily get sidetracked by surfing the net. I multitask a lot. I watch my favorite TV shows while cleaning the house or cooking or doing whatever. I realize multitasking could be the source of my exhaustion. Too many things happening at the same time. I allot one night a week for my manicure and pedicure at home. I look forward to that evening when I am forced to sit down and not do anything else. My week passes by very fast, and the weekend arrives. Weekends are more chaotic. 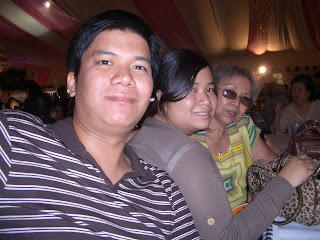 I alternate going home to Bulacan to spend time with my family with spending the weekend with Jed in Cebu. 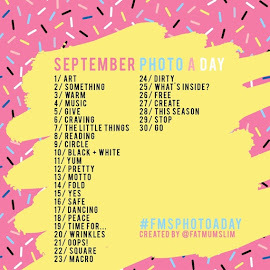 Friday afternoons for me would either be killing time in Trinoma waiting for my siblings (I'd get to do all my shopping errands then) or waiting in NAIA 3 to board my flight to Cebu. I never appreciated the Embassy's shortened Fridays more than before. With my current set-up, I do not have quiet weekends. I love spending quality time with Jed and my family, but it can be physically draining. I am grateful that God is giving me the energy to keep me up on my toes. I load up on vitamins so I do not end up sick. Maybe I should move around my schedule so I could get some breather. I am a proponent that it's alright to say NO. But in my desire to spend quality time my family and friends that I'll be leaving behind, I tend to push myself a bit more. And I was reminded about this in Church two weeks ago. I should just stick with what I have to do, and leave the rest with God.